I came across both of these quotes today and was encouraged anew about the need of Christians to pray. 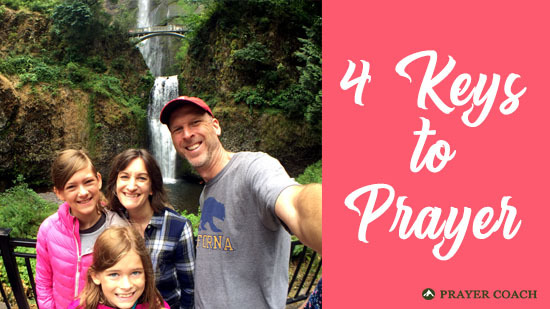 One of the quotes came from Rod Parsley’s daily devotional, in which he gave four keys to effective prayer. I liked the simplicity of the keys and wanted to expand them further in this post. God has placed desires in out heart that lead you into the calling He has for you. Those desires also lead us to things with which God wants to bless us. If you do not get in touch with the things on your heart, you will have no motivation to pray and your faith will become stagnant. Bringing your heart to God is the key to powerful prayer. If you do not get in touch with the things on your heart, you will have no motivation to pray and your faith will become stagnant. A quick example of how this can work happened to my wife just yesterday. She has had a busy and stressful couple days, and she was about to enter a meeting with a crying baby. As she was driving up, she had a desire on her heart to go in with a friend of hers who was also to attend. She asked God to allow them to meet in the parking lot before entering. As my wife got out of the car and heading across the parking lot, her friend about ran her over. My wife was able to go into the meeting with her friend, but more importantly God reminded my wife that He saw her stress and wanted to offer her some comfort. God placed the desire in my wife, and when she asked Him this in prayer, He willingly answered. Dr. Bill Bright was the one who really taught me the importance of this step. Within his Transferable Concepts, he taught me this important step in prayer. The particular area he was talking about was in the concept on how to love by faith. His point was that God calls us to love others. He even calls us to love our enemies. Since He asks this of us, we know that it is God’s will that we love others. Therefore, through the promise of 1 John 5:14-15, we know if we ask anything according to His will, we know He hears us and will have what we ask of Him. Tremendous promise! Another way this works is to ask God what His will is in a particular situation. When I felt that God was calling me off ministry, I set aside time to fast and pray. I was telling Him that my life was His, and if He was calling me off ministry, I wanted to know to what He was leading me. During this time of seeking Him, I felt He was leading me to get a Masters degree in Business (MBA). Here was my new marching orders. 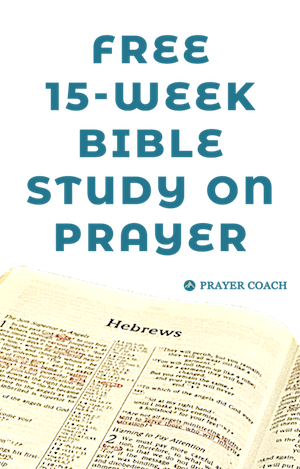 The confidence of it being God’s will was not as strong as if I could tie it down to a particular verse of Scripture, but I do know that God answers us when we pray and this is where I felt Him lead me. My first step to get an MBA was to take the GMAT. I prayed for this step knowing if God’s will was for me to get the MBA, He would allow me to do well enough to get into business school. By God’s grace I scored in the top 3% of everyone who took the test that year. Once I got to school, I was confused by all of the new language of business. Coming into the first exam, I continued to pray and ask God for help, leaning on His will I believed He showed for my life. On this first exam, I got a perfect score. While the entire business school process did not go as perfectly, God did confirm to me that it was indeed His will. I had left what many Christians believe is what God wants from all of us – full time ministry. God allowed me to see His favor continued to go with this new direction, and I grew in confidence as He continued to remind me that this was indeed His will for my life. This key to prayer feels like it almost needs not to be said. It is almost like saying that the key to prayer is to pray. Of course, you need to verbalize your request. I think what makes this key more poignant to me is that idea for you to elaborate on your request. Let’s take an simple example from a majority of prayers: “Lord, bless me today.” I believe that Christians would increase in their faith and grow in thanksgiving to God, by explaining what it is for which they are praying. What would it look like to you if God was to bless you? Maybe it is a meeting that you have with your boss today. What would that meeting look like if God were to bless you? Do you just want to come away and not look incapable of your job? Do you want to hear your boss acknowledge the benefits your have added to the company? What is it that would speak of God’s blessing to you in that meeting? These questions get at the desires of your heart. They make you aware of what it is that you really want. I believe people are fearful of being to specific because they are afraid they are putting God in a box – that He must perform in a particular way. But, being specific allows you to create a personal relationship with God. You are not tying God down with your specific requests, you are opening yourself up to be personal with God. It is important to remember that the goal of prayer is not to get what you ask, but it is to grow in a personal relationship with God. He will not give you everything you ask. This verse in James states that for us. There will be things we ask for the wrong reasons. So whenever God does not answer a prayer in the way you expected, you can go back to God and ask why. It is important to remember that the goal of prayer is not to get what you ask, but it is to grow in a personal relationship with God. God will give you the power to love someone else. God will give you wisdom on how to parent your child. God will give you opportunities to talk to others about Jesus. God will lead you to a body of believers that would encourage your faith. These are just a few of the many promises you know God has committed Himself to answer on your behalf. Prayer is the key in the hand of faith. There are others things that God has shown you particularly through prayer that you can also hold firmly. And, there are other things you feel you should ask, but you are not sure if it is God’s will. In these requests you do not put your faith in the answer of what you asked. But your faith is in the heart of our Heavenly Father who loves us immensely and who delights in us bringing our requests before Him. Our faith is not in the answer to prayer but in the heart of our Heavenly Father who loves us immensely. When you doubt God’s concern for you individually, it limits your requests and any delay in the answer becomes proof in your heart that God does not care for you. A delay in the answer is not a sign of God’s displeasure, but an opportunity and call for you to grow stronger in your faith. And, “without faith it is impossible to please God” (Hebrews 11:6). If we live as if God does not exist through trusting in our own wisdom and not in a dependence of God’s wisdom and strength, we will be no different than the world around us. There are many in the world who do good things, but we have the power and direction of the Almighty at our fingertips. Our lives should not only be different; they should be supernatural. ← Lord, Don’t Give Us What We Deserve?